New and more efficient Speed Pocket design promotes fast ball speed across a greater area of the face for long distance. 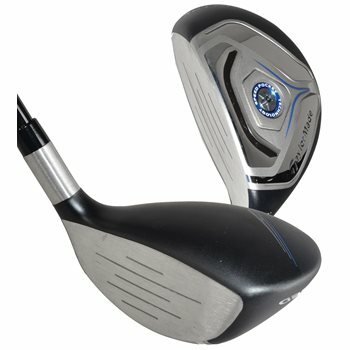 JetSpeed Rescue uses an Ultra-high strength JetSteel face which promotes fast ball speed for long distance and the low-profile, shallow head design promotes easy launch for outstanding playability. Low-and-forward CG promotes fast ball speed and low spin for optimal launch conditions. Review by Jetspeed 4H, 1 year ago. Review by Jon Green, 1 year ago. Review by Evanj81, 2 years ago. If it is purchased in new condition, it will come with a headcover. If it is purchased in any of our used conditions, it will not come with the headcover.